On our recent road trip, I was pleased to discover that I could use cloth diapers, practice elimination communication, and bring along my reusable choices for my period — without any additional fuss or stress. I popped them all into two Planet Wise Hanging Diaper Wet/Dry Bags (one I got for review, and then I bought another, because I am totally hooked) — the large size and the handle makes it the perfect diaper-stash bag to bring on a long trip like this, and having both the wet and the dry sections is just what we needed. Alrik was comfortable, cute (fluffy bum! ), and rash-free for the entire trip. Score! Now, I know most people don't have a diaper service (sorry! 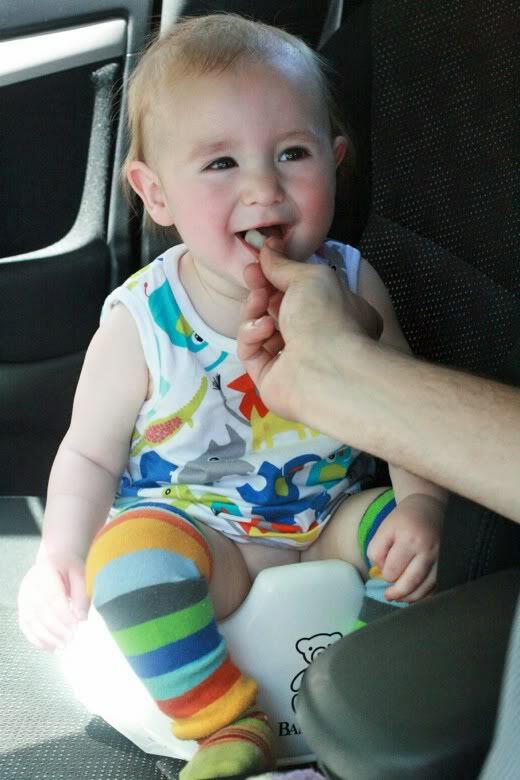 ), so here's my take on washing your own cloth diapers on the road. It's totally doable. Bring as much of your stash as you can. With a car trip, it's easier to be extravagant in how much you stuff in the trunk, so take advantage. I still recommend the Hanging Wet/Dry Bag (because it's awesome) — you can put your cleans in the dry pouch and the dirties in the wet section. Bring a diaper-bag-size wet bag (we bought two! whee!) for your daily diaper bag/handbag so you don't have to lug the whole stash as you sightsee. If it's a short enough trip not to outlast your stash, then just go for that and wash when you return. If space is at a premium, bring your smartest stash: Skip the all-in-ones since they're fluffy but can be used only once before washing. If you bring pockets, plan to use the inserts on the outside so you can treat the pocket as a reusable shell until it gets wet or dirty. 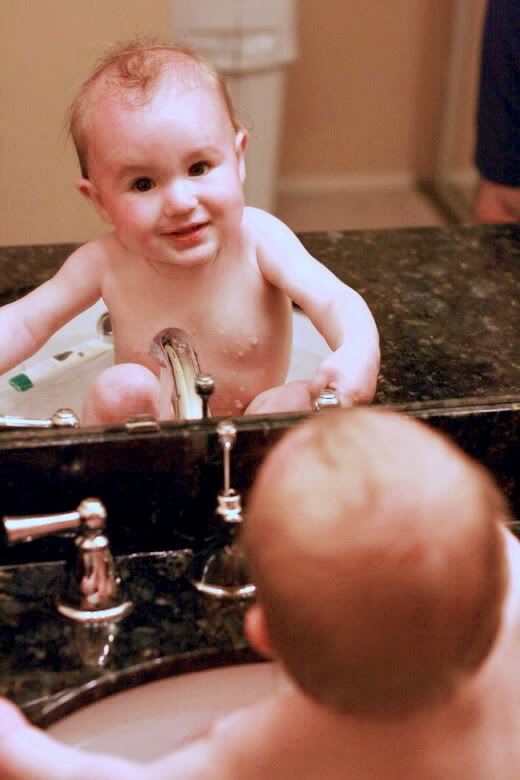 (Some babies react poorly to synthetic inserts against their skin, so experiment with this at home first. Inserts in natural fibers are available.) And, of course, prefolds and reusable covers are a great choice for staying low profile. Plus, prefolds can hold multiple duties as burp rags, changing pads, wipes, and the like. Bring along your cloth wipes bag as well — reusable wipes are easy enough to store and toss in with any laundry you have, either on the road or at the end of your trip. (I like our CurlyMonkey ones.) You can wet wipes as you go in a restroom sink, or bring a mini spray bottle and fill with water or wipes solution. You can repurpose a toiletry bottle you already have or pick one up in the travel section of a drugstore. 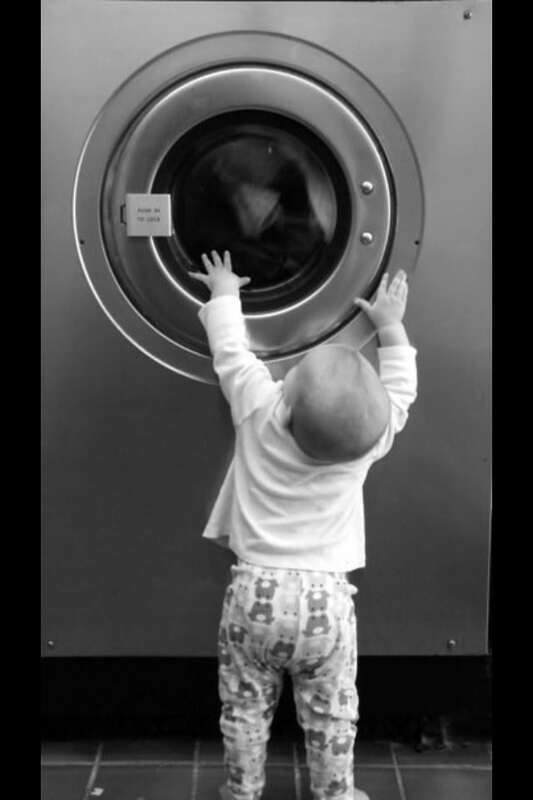 If the trip is longer than your diaper supply holds out, then you'll need to find laundry facilities. If you're staying with family and friends who have a laundry room (even if it's coin-operated common machines), that should be no problem — just use theirs. If hosts cavil at having poopy diapers in their machines, you have a few choices: (a) explain that washing machines get things clean (try to say it nicely and without appending "duh"), (b) promise to wash a clothing load of your own after the diapers to "clean things out," (c) find a local laundromat instead, or (d) postpone your washing till the next location. If you're staying in hotels, every hotel we stayed at on our trip had a guest laundry room (coin-operated). I checked! Obviously, there will be hotels that do not, but if you're staying in different hotels over the course of the trip, try to time your wash days to coincide with laundry room opportunities. If you're booking hotels as you go, you can look at the amenities specifically to find one with guest laundry. Bring your own cloth diaper-friendly laundry detergent. If you'll be washing a lot, you could find a smaller travel size of your favorite brand. I use Country Save , which is in a terrible box for traveling since it can't be resealed. If you need detergent like that on a trip, you can pour several loads' worth into a large baggie and bring along the scoop and portion it as you go. Bring or save up quarters as you travel. Coin-operated machines cost at least a dollar a load, in many locations more like two dollars (or more). That's a lot of quarters. If you ever used to have a film camera and can lay your hands on an old film canister, those things are perfect for transporting quarters. But barring that, a little change purse or small sealable bag will suffice. If you're out of change, a bank will trade you a roll of quarters for a $10 bill, and some laundry facilities have change machines. Bring your own wool dryer balls. I recommend taking at least three. (Anktangle Creations makes lovely ones!) These are safe on cloth diapers and work just as well for clothes. They'll soften everything without chemicals and are easy to stash in a suitcase. And they can double as toys for your kids! Wash covers as you go. 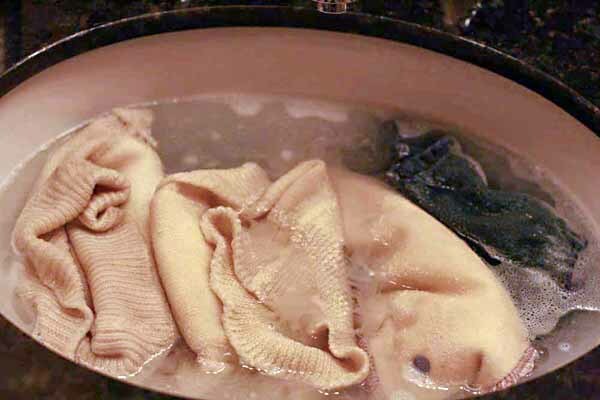 Poopy or wet covers can get an easy rinse and scrub in the hotel sink with a suitable detergent and then be hung to dry. No worries! You can pop in some diapers, too, if you're willing to do your own agitating. You can also wash poopy or wet babies in the sink as needed! When we visited the East Coast, bringing along our two huge bags of diapers was, sadly, not feasible. We needed to fit everything into a single suitcase for all four of us so we could schlep everything (suitcase, two backpacks, car seat, and two children) on a bus, on a train, and through the airport. If someone's dropping you off, you might have more options — though maybe not, considering that so many airlines charge through the nose now for checked baggage. So, for us, bringing our diaper service prefolds was out. I was considering bringing our own cloth stash to wash when my mom called me up to say she'd just bought two huge packages of disposables in Alrik's size. I'm relaxed enough about our limitations to decide, All right, then, we're going disposable for this trip. Sometimes the easy way is what vacation is all about. That said, I know it would have been entirely possible for us to wash cloth. We would have needed to bring a smaller stash and wash frequently. That's perfectly doable when you're staying with a friendly party with in-home laundry facilities — slightly more challenging if you're moving around a lot, staying with people who don't have their own washer/dryer, or staying in a hotel. However, see above in the road trip section for general tips on washing cloth diapers on the go. I know it's feasible, as we did a mini-load at my parents' house. Instead of buying disposables for our way there, we brought a small assortment of easily packed cloth: wool covers plus absorbent inserts in natural fibers. That way, if Alrik had a rashy reaction to the disposables, we knew we could put him back in the cloth we'd brought. Whether cloth works for camping (or traveling somewhere equally remote) depends in part on how long your trip is and how far you are from laundry facilities. On our overnight camping trip, easy-peasy — obviously! I like the idea of using cloth even on an extended camping trip, since then you're not leaving trash behind in the green spaces you're enjoying. I'll fully admit I'm not an experienced camper, so anyone with camping advice can chime in! 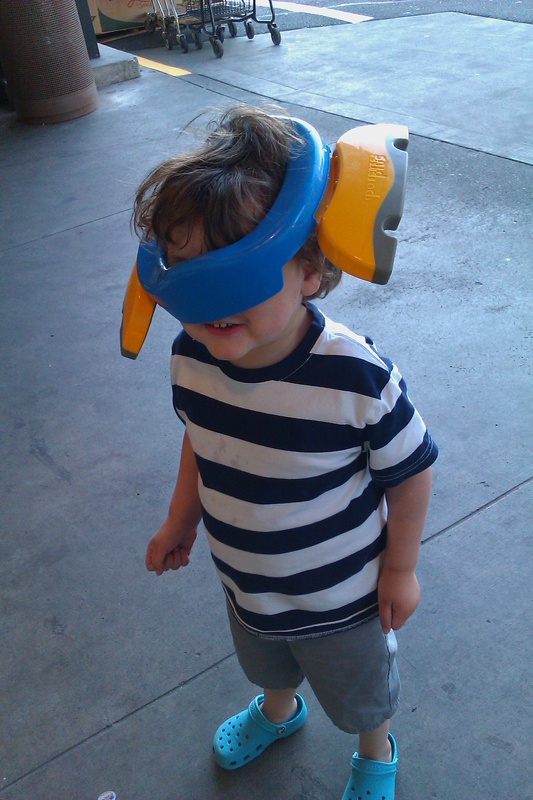 It's easy enough to EC (or potty train) when traveling, as long as you're relaxed about potential disruptions. We're part-time ECers anyway, so I don't get too fussed when we can't arrange the perfect string of pottytunities on the road. On every trip, car or plane, I find a way to bring along one of our Baby Björn Little Potties (sadly, no longer being manufactured, though you might be able to pick one up secondhand at a consignment store or through a friend). The replacement product is the BabyBjörn Smart Potty — not having one myself, I don't know how it compares in size, but I believe it's supposed to be a compact option. I'm sure that would work just as well, though I love how the BBLP is one-piece, which makes it even easier for traveling. If you need something lower profile, say for a plane or public transportation, you can craft your own teensy travel potty with a sealable food container lined with an absorbent washcloth or insert. That way, you can tuck it back in your bag to empty later. You might also like to have a travel-friendly seat reducer along for public toilets and the bathroom at your destination — I like the Potette , which doubles as a small potty on its own (you hang plastic bags from the edges and place an absorbent paper or cloth in the center) and the inflatable On-the-Go Potty Seat . Or you can simply hold your baby over the toilet; it can help to sit backwards on the seat yourself and place them in front of you. Older toddlers and children can be coached to sit sideways, which is more secure for them. For our road trip, we enjoyed the chance to pull into a rest stop and pop Alrik on the potty in the grass while we all then ate a little snack and got our wiggles out. I'm happy to say that I've never had to resort to using disposable menstrual products on the road — my menstrual cup and my cloth pads work just great! It's actually quite easy to use reusable menstrual products when traveling. I empty my DivaCup when it's convenient to do so, such as in hotel, guest, or airplane bathrooms, so I can rinse it in private before reinsertion. However, if need be, I empty it in a public stall and then … just stick it back in. Whatevs. You can wipe it out with some toilet paper if you'd like. If you've got reusable tampons or sea sponges, you'll have to figure out your endurance level before rinsing and, hopefully, have an extra couple on hand so you can change them out as needed. Cloth pads are pretty simple to deal with as long as you have enough to get you through a couple days. They don't take up much space, so they're easy enough to pack, and it's simple to wash them in a hotel sink or toss them in with other laundry you're doing. (I like to rinse mine first in cold water to prevent any chance of the blood staining other clothes, and I've never had a problem with it.) Take along a travel bottle of delicates detergent like Eucalan, or just use the soap or detergent that's available. (Yes, I've washed mine with hotel soap bars. It's fine in a pinch.) If you'll be washing often, a cloth diaper-friendly detergent is preferable to prevent buildup and repelling, especially on synthetics. Another must-have when traveling with reusables is a good wet bag. A mini-size wet bag is discreet and can be tucked into your purse or diaper bag. If you're already washing your own diapers, you can feel free to combine menstrual products and dipes in the same wet bag. I bought the Planet Wise Mini Wet/Dry Bag (did I mention I was hooked on these wet/dry bags? They rock) and love its low profile and the elegant fabric choices available. I can tuck a few pantiliners for my Lunapanties in the dry section, then transfer them to the wet when they're dirty. If I've rinsed out a pad in the sink and it's still damp when we're packing up, that can go into the wet section, too, to await later laundering. When my period was over, I also tucked my DivaCup into the wet section to boil when I got home. However, it's pretty small if you're relying on it to pack a full week's worth of larger pads — in that case, you might want a day-size wet bag intended for cloth diapers. All right, I didn't get adventurous enough to bring my own stash of reusable toilet paper along. But, you'll be pleased to learn that I have become so enamored of my hankies from TurtlesRUs (recommended to me by Hybrid Rasta Mama) that I didn't think twice about bringing cloth hankies along on all my trips and camping! I just don't want to be without my comfy cloth tissues. Handkerchiefs don't take up much space and slip right in with your other wash — no pretreating necessary. Trust me on this. It's easy. Why go reusable on the road? Why not? We don't pack paper clothes and cardboard shoes. It's a little more work to handle laundry when you're traveling with cloth diapers or other reusables, but the increased comfort and style can make it all worth it. Now, I'm not some chancellor of greenness where I'd chide anyone for choosing disposables for convenience — especially since I sometimes do so myself! But next time you're traveling, if you're feeling up for it, give reusable methods a try and see how it goes. You'll be able to take a little more of the comforts of home along with you. 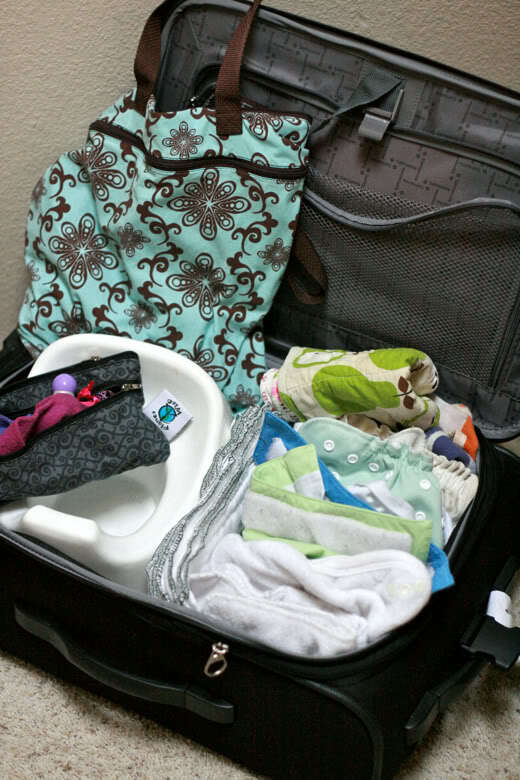 What are your tips and tricks for traveling with cloth diapers? Reusable menstrual products? Other cloth items? Don't forget to visit the Natural Parents Network Holiday Gift Guide to win or buy gifts related to cloth diapering and travel! There's a soap nut liquid concentrate from Olive Shoot Institute perfect for washing cloth diapers that would be ideal to pack in a suitcase; a gift certificate to Raising Green Kids, which sells wool dryer balls; reusable snack bags and tissue totes from Bent River Bobbins; and a gift certificate to Anktangle Creations, where you can buy wool diaper soakers or dryer balls. Plus, lots more and plenty of coupons! Go shop, enter, and drool. A couple items were review products. and I purchased most on my own. "I wanted to share these couple of posts that I wrote about travelling with cloth. Our diapers have been everywhere from Hawaii to Antigua and even on a 10-day sailing trip! I've owned both of the Baby Bjorn potties, though not at the same time. Sadly, we lost our old one on the train. So when Twig was born I started to look for a new one for EC and found they only make the ones with the middle that comes out. They're pretty similar, but I think that the new one might be slightly taller. It's kind of nice though to be able to take the inside out to wash rather than washing the whole potty. 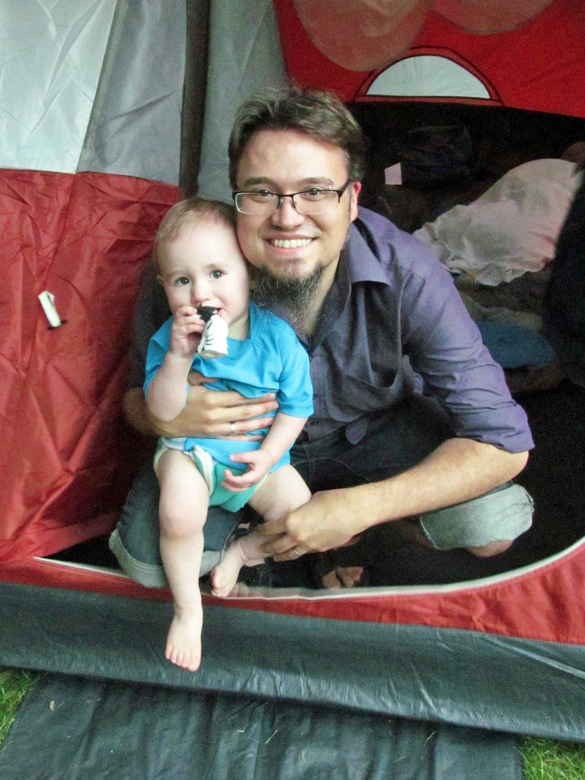 Camping sounds like a great time to go diaper-free. I probably would, except while in the tent. High fives! I have loved traveling with cloth diapers as well, and the wet dry bags from Planet Wise, oh drool. They rock. We haven't done any EC, but it is cool to know that it can even work on the road. One of my favorite tools to make it easy have been hemp inserts (I use the Joey Bunz from BabyKicks). Usually I totally hoard them for night use because they are super heroes when it comes to absorbtion, but on the road using them during the day has meant fewer stops for diaper changes.